Adjustable Height Range - For sitting applications, the CR5 provides ample height-range adjustability - from 27" to 54" off the floor. 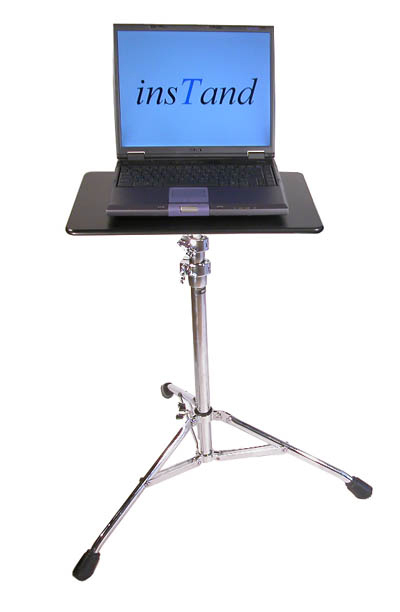 This ensures that the user always has the ability to choose the most optimal height for using the laptop. 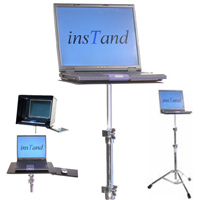 Portable and Compact - Just as the laptop itself is compact and portable by design, so should the stand on which it sits be compact and portable, especially when the user will be working and moving from place to place. The CR5 can easily be folded and stored when it needs to be transported, even coming with its own carry bag. Although the CR5 is not as lightweight as the CR1 and CR3 models, its compactness and included carry bag still make transport easier. 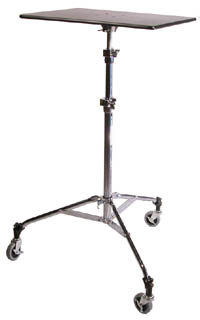 Stable and Durable - The heavy-duty weight of the CR5 (8 lbs) actually contributes to the stability of the stand, while the heavy steel material adds to its durability. Positions Laptop Screen and Separate Keyboard Optimally - On laptops, the screen and built-in keyboard are joined at the hinge, making either typing or looking at the screen awkward and potentially injurious over long periods of usage. If an ergonomic workstation is the goal, the separate monitor or a separate keyboard is a necessity, so that either of these can be better positioned relative to the other. In the case of the CR5, getting a secondary compact keyboard is the easiest and most affordable option. The CSK-CT1 Side Tray accessory simply attaches to the aluminum tripod of the CR5, on which you can place a suitable compact keyboard, so that it is sufficiently lower than the screen on the laptop. This will ensure better ergonomics when using a laptop for longer periods of time. 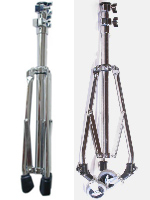 Adjustable Height Range: The 27" to 54" range of the telescoping tripod column is sufficient to ensure correct worksurface height for most sitting applications. Holds Most Laptop Sizes: The 11" by 13" CT4 tray that comes with the CR5 is ideally sized to hold most laptops, even if they are slightly larger in width. 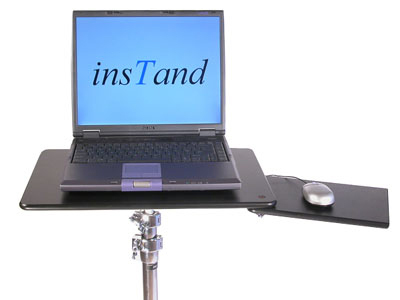 As long as the laptop is centered where the tripod attaches to the tray, the center of balance will help keep the laptop stable on the stand. 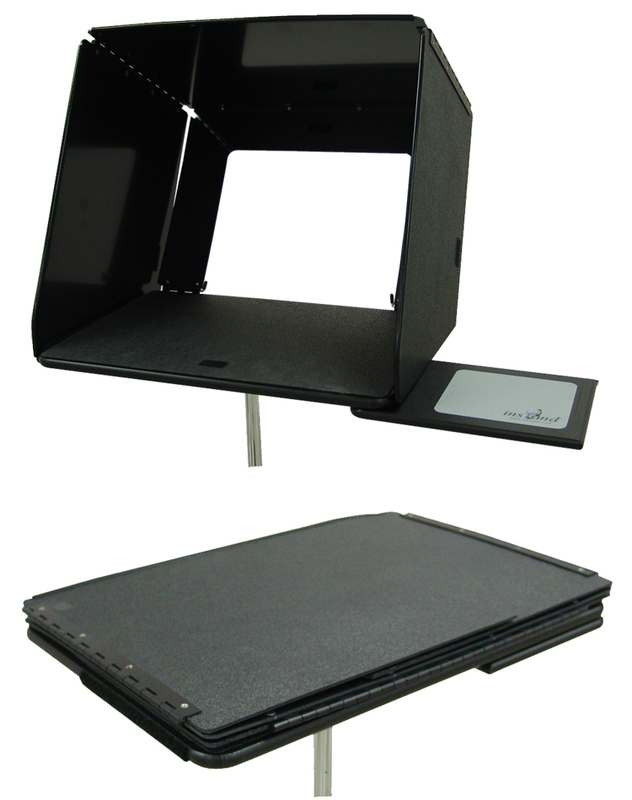 This also allows the tray to remain compact and portable. Durable Construction: Made of sturdy steel with a beautiful polished-chrome finish, the CR5 is sturdy and durable enough to last for years without compromising the safety of laptops. Compact and Portable: The simple design of the CR5 means that disassembling the tray from the tripod, folding it up, and placing it in its carry bag can be done in seconds. No detailed instructions are necessary. Optional Add-on Accessories: There are several optional accessories to make the CR5 even more versatile and configurable, including other tray sizes beside the included 11" x 13" tray, a palm rest accessory for supporting palms while typing on the laptop keyboard, and the SideKick with Tray, allowing a secondary compact keyboard to be attached to the tripod for better ergonomic benefits. Also, there is a caster wheel set for those who want to be able to roll the stand into position instead of picking it up and moving it.